The breakthrough came after the government of National Accord (GNA) leader Fayez al-Sarraj and Field Marshal Khalifa Haftar, whose forces control most of eastern Libya including key oil ports, held rare talks Tuesday in the United Arab Emirates. On Wednesday, they called for a resolution to Libya’s political and economic crisis and for joint efforts to battle extremist groups in separate statements. During the talks, the issue of how to form a new Libyan army also loomed large. Sarraj, whose unity government has struggled to impose its control across Libya since it was formed in 2015, said Wednesday the two sides had agreed to put in place “a strategy... to form a unified Libyan army” under civil control. Haftar, who commands a self-proclaimed Libyan National Army (LNA), is accused of wanting to install a new military dictatorship in Libya, rocked by a complex multi-sided conflict since the fall and death of dictator Muammar Qaddafi in 2011. Both men said they had agreed to put an end to violence in southern Libya, where LNA and pro-GNA forces have clashed in early April around an air base on the edge of the southern city of Sebha. Haftar is backed by Libya’s parliament based in the country’s east, as well as by the UAE and Egypt. That parliament has refused to recognize the GNA, formed under a United Nations-backed deal that gave no role to Haftar and his forces. There has been a flurry of diplomatic activity in recent days to try to reconcile the rival administrations Libya’s east and west. On Sunday, UN envoy Martin Kobler held talks in Sudan, a supporter of Sarraj’s administration. On Monday, he met Mahmud Jibril, who headed Libya’s interim government during the NATO-backed rebellion that toppled and killed Qaddafi. 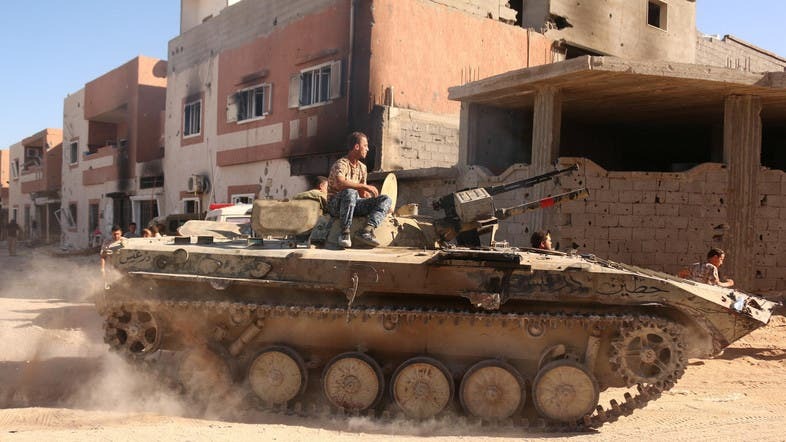 Meanwhile, an explosion rocked the eastern Libyan city of Benghazi when a rocket struck a residential area, killing at least three people and causing panic among residents. An Associated Press reporter saw three charred bodies carried from a three-floor residential building hit by the rocket in al-Sirti district of southeastern Benghazi. The blast blew out windows of shops and wrecked parked cars. How does Russia expand its influence in MENA through Libya?